The first data regarding the settlement, connected the island with the Illiric tribes – Japodians and Liburnians, then with the Greeks when the island was part of the Elektridic or Apsirtidik islands – now known as the Kvarner islands.Roman traces lead us to the end of the antique period and the first centuries of the new age period.Christianity appeared very early on the island, so that already in the 5th century A.D. the bishopric had been formed, with its centre in the city of Krk and with the first known bishop, Andrija (680). The Croatian people inhabited the land in clans within the castles, and for that reason, today the island has four different dialects.At the end of the 12th century from the original clans the famous Krk noblemen, the Frankopan family emerged. This was the only family within the Adriatic islands to develop its power in the range of European emperors – their origin is from Vrbnik, and they even spread their rule to the continent – to Trsat, Bakar, Kraljevica, Crikvenica, Novi Vinodolski, as well as to Otočac, Brinje etc. so that at the height of their rule the Frankopans owned a territory equal to half of today’s Croatia. After the fall of the Croatian aristocracy – the Frankopans in the 15th century, Krk changed many rulers, from the Venetians, through to the French, the Austro-Hungarians, the Italians, the Germans, the Yugoslavians and finally, after five centuries, the island of Krk finally became an integral part of the Croatian corpus again. 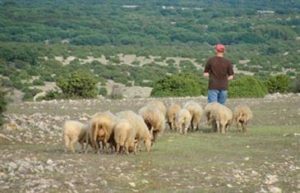 The islanders’ traditional way of life is connected to the sea (fishing, navigation, ship building) and agriculture and livestock farming, especially sheep breeding, and this, along with other more modern activities, remained on the island until today. 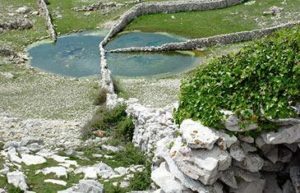 The island of Krk’s life in the past and in the present can be followed through the symbolic number seven. It was inhabited by the Croatian people in the 7th century, the seventh Frankopan prince was the last prince of Krk, it successfully survived pirate attacks seven times.Today the island has seven administrative units: The island of Krk and the municipalities: Omišalj, Malinska, Punat, Baška, Vrbnik and Dobrinj. There are seven different Chakavian dialects of the Croatian language. 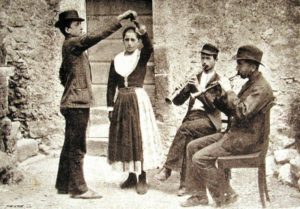 There are seven different types of customs, dances and popular costumes.The folk instrument, the sopile is an ancient wind instrument which even today is an integral part of all island festivities, often connected to ecclesiastical holidays and patron saint’s of specific villages. 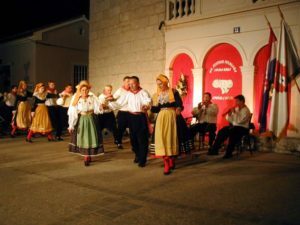 The richness of the island’s folklore is represented at the summer Festival of Krk folklore every year and at the Festival of Krk’s sopile players. The tradition also includes carollers during the Carnival period. 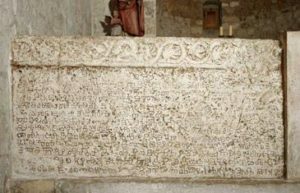 The island’s number of destiny is seven: it was inhabited by the Croatian people in the 7th century, it survived pirate attacks seven times, the seventh Frankopan prince was the last prince of Krk and today the island has seven principal centres. The island of Krk is the most northerly island on the Mediterranean and is located in the Kvarner bay. It is the largest island on the Adriatic with a surface area of 409.9 km2. Around twenty small islands, cliffs and reefs are located around the island. Krk is the island with the highest number of inhabited villages, 68 in total. 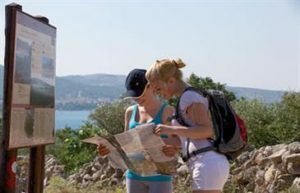 The number of inhabitants on the island today is 19 383 ( 2011 census).Climate, flora and fauna: The island of Krk is located in a moderate and mild Mediterranean climate zone. The average summer temperature is 23 oC, the average sea temperature in the period from June to September is 20 oC. The most frequent winds are the bura, jugo and maestral. So on the north and south-eastern part of the island the jugo blows more frequently, and in part of the central and northern part of the island the bura prevails. 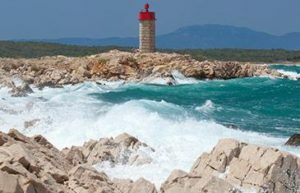 The island of Krk is included amongst the sunniest parts of Europe with 2500 hours of sun per year. The variety of relief and favourable climatatic conditions have contributed to the development of almost 1400 different plant species. In the central and western part of the island forests and cultivated cultures of Mediterranean fruit and vegetables prevail, with vineyards and olive groves. The north and south part of the island is marked with rocky land and pasture. The specificity of Krk’s landscape is its terrace shaped walls (gromače) and shepherd’s mrgarwhich have been conserved on the limestone plateaus above the Baška valley.The relief is limestone, and has interesting shapes; caves and grottos (Biserujka close to Dobrinj), karst sink-holes and karrens. The central part of the island is marked with fertile fields. The shore is indented, with a number of lagoons, bays and pebbled beaches.Ornithology reserves: the island of Prvić and the north-eastern steeper part of the island of Krk’s coast is where the Griffin vulture’s habitat is located.